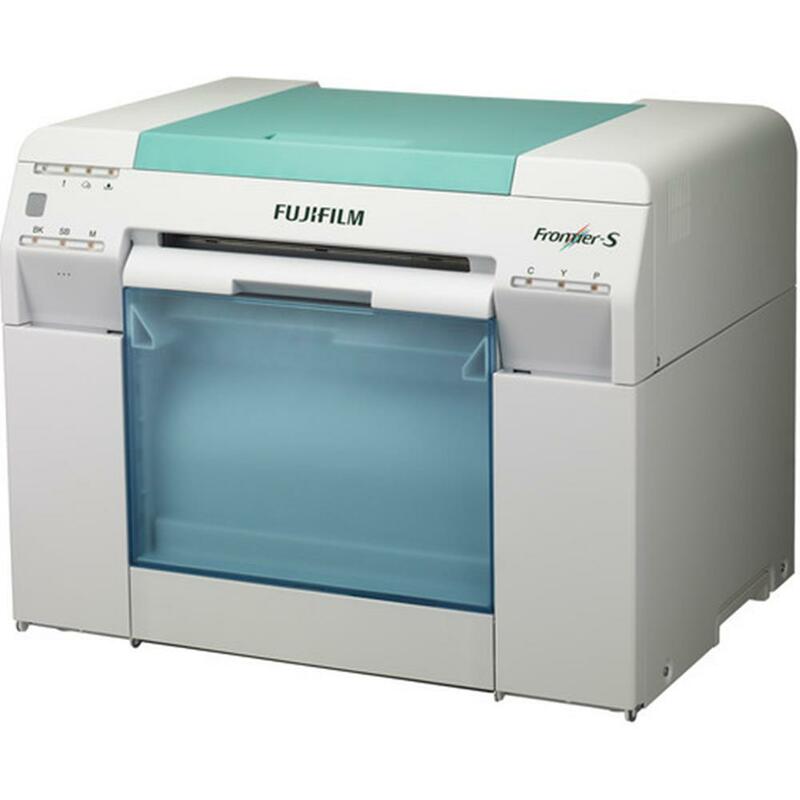 Compact and fast, the Frontier-S DX100 can produce prints from 3.5" x 5" up to 8" x 39" high quality images and allows for a wider color gamut, finer grain, smoother gradation in backgrounds and improved skin tones. The Frontier-S DX100 meets the diverse needs and challenges of the retail minilab, retail kiosk and Event photography. Print Size: 3 1/2" x 5" - 8" x 39"
Dimensions (LxWxH): 18.11" x W 16.93" x 13.94"